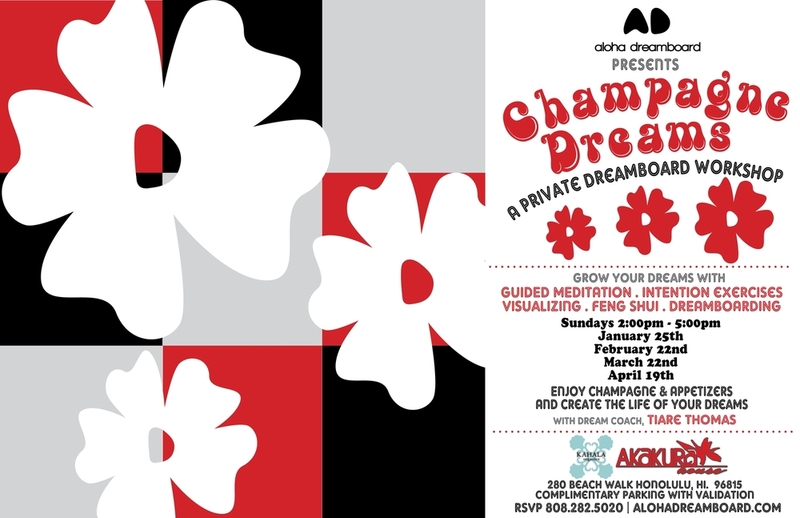 Champagne Dreams is an uplifting and inspiring dreamboard workshop helping you to discover and visualize your dreams. Enjoy special champagne & tea refreshments from Kahala Organics & light appetizers with friends. Unwind from your busy week as Dream Coach, Tiare Thomas, guides you in a short meditation. Discover your intentions and and see the benefit in aligning them with your desires. 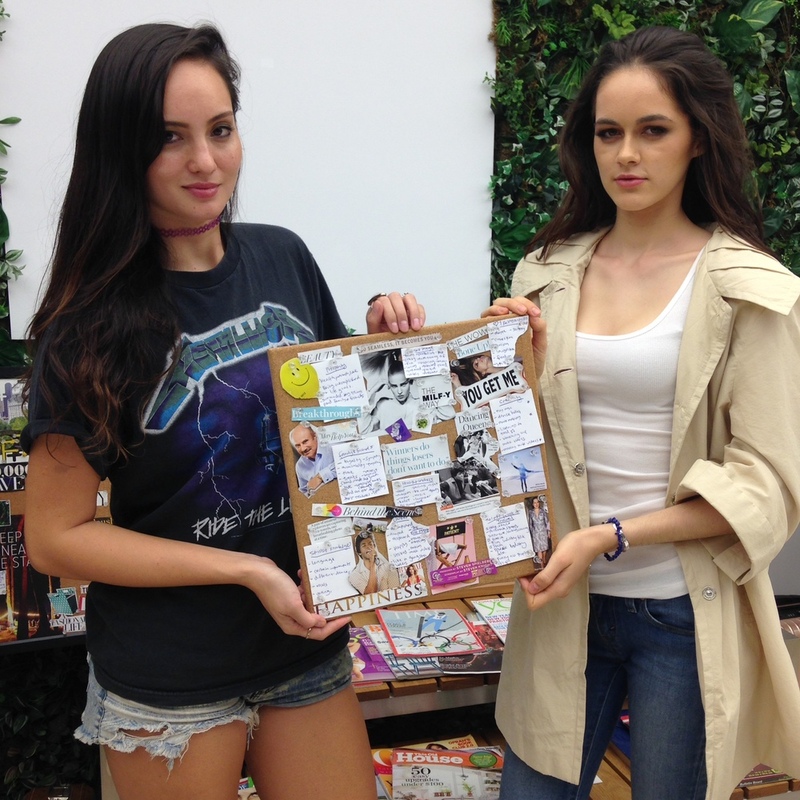 Organize your dreams and goals as Tiare guides you through creating your dreamboard. This workshop is meant to challenge your thought process and find what it is that you truly desire. We encourage these thoughts through several different mindful techniques. This workshop has a very comfortable atmosphere that will open your senses to new experiences. From sight, sent, and touch this workshop will appeal to all of your senses. You will leave this workshop with clarity and vision. Living you’re dream is a workshop away!